Behemoth Dances. Who dances? You know, Behemoth, the huge demonic black cat who cakewalks through Stalin’s Moscow in Bulgakov’s The Master and Margarita spreading mayhem and magic; the spirit – as quoted by Bulgakov, and taken by Stephen Johnson as a sort of motto for his new orchestral work – “that always wills evil, but always does good”. A sardonic fanfare announces his appearance, before the orchestra whizzes away on a bustling, bristling spree. Woodwinds squeal and skirl, the surface glitters, and a piano throws in a few deadpan comments. Stephen Johnson is a much respected presenter and writer about music. 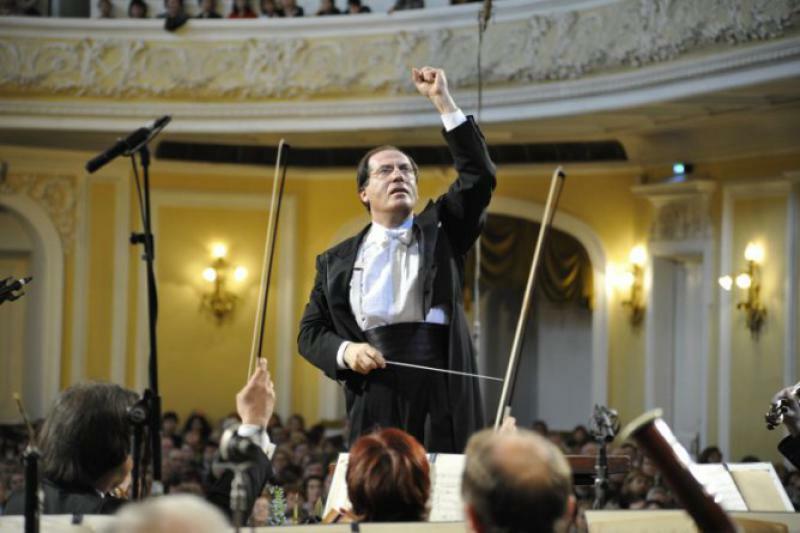 As we discovered in Saturday’s concert from the remarkable Moscow State Symphony Orchestra he is also an accomplished composer. Behemoth Dances’ bristling energy was generously conveyed by the MSSO under Pavel Kogan’s empowering baton.